Soooooo digging this thought right now. 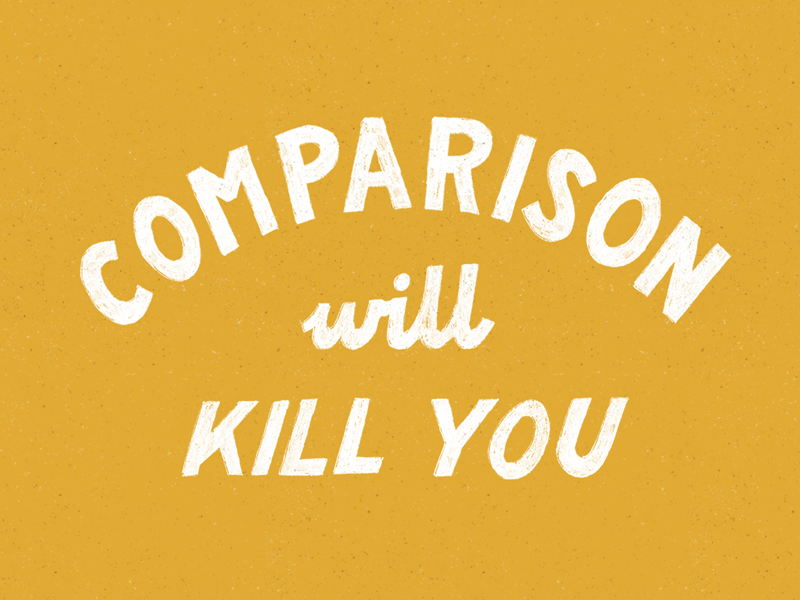 What is in our nature that we feel like we have to compare ourselves to others? To be better than, to be skinnier than, to be smarter than, to be richer than, to have more toys than…. It leaves you always feeling like you’re lacking and wanting more–it’s nothing you need. We should be content with ourselves and what we have in our lives. But if you want to better yourself, do it for you and/or your family and not to keep up with the Jones’. There’s always going to be those ‘better’ than you and those ‘worse’ than you. When you’re at peace with who you are, your perspective on life changes. I’d much rather feel happy than always feel like I’m not good enough or will never have enough. It can create happiness and contentment. How very true! We all need this tattooed on our foreheads! Really enjoyed this, so true.